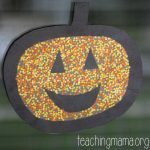 Pumpkin season is in full swing and I keep thinking of fun activities involving them! 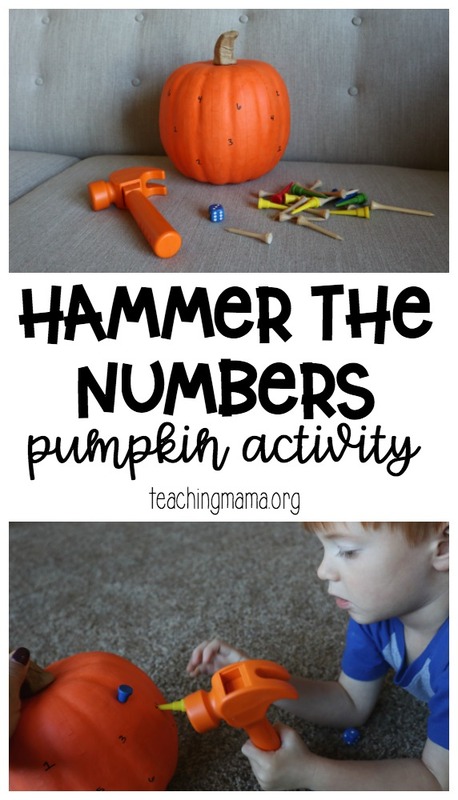 Today’s activity is called Hammer the Numbers. 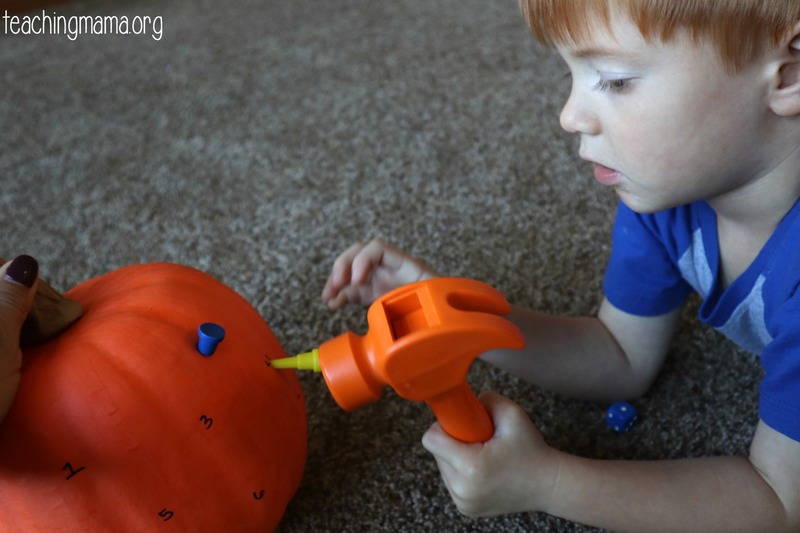 This activity practices hand-eye coordination, number recognition, and fine motor skills. 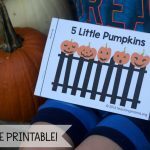 Keep reading to see how to do this activity! 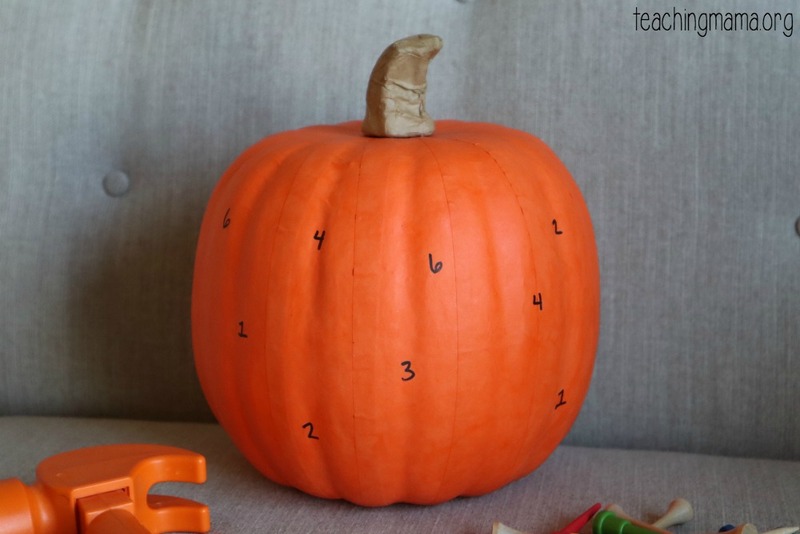 To set this up, you’ll simply just write numbers 1-6 around the pumpkin. 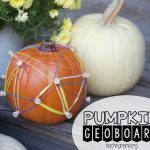 It doesn’t matter where you put them, you just write them around the pumpkin. 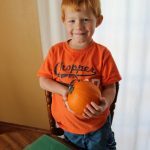 We used a faux pumpkin we found at Target. 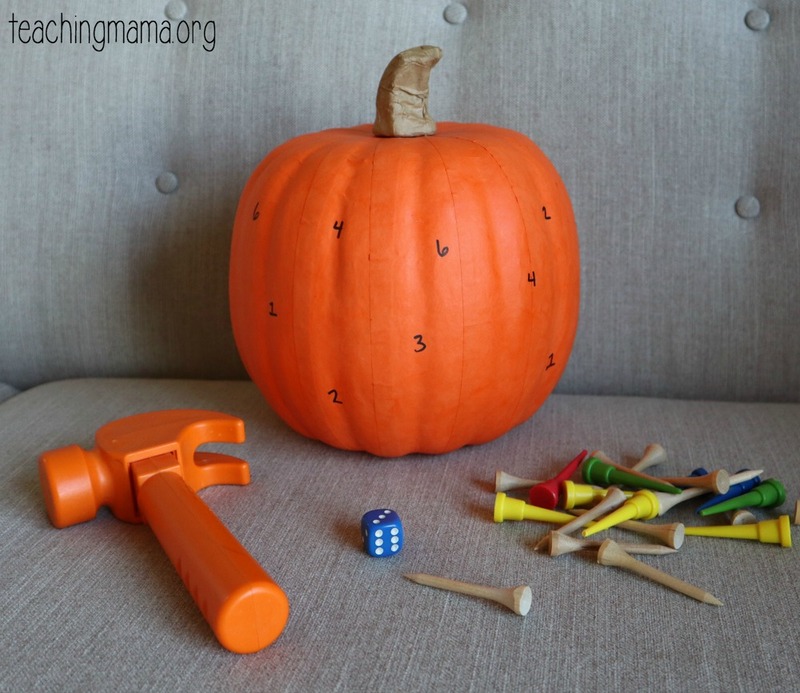 To do this activity, just roll the dice and whatever number it is you hammer a golf tee into that number. Keep rolling until all the numbers have been used. 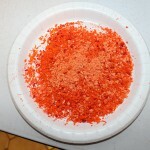 You could also do this with alphabet letters or shapes. You just need a dice that has letters or shapes on it. You can use this free printable to create a paper dice and personalize it. 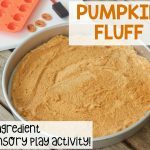 My 4-year-old had a lot of fun with this activity! 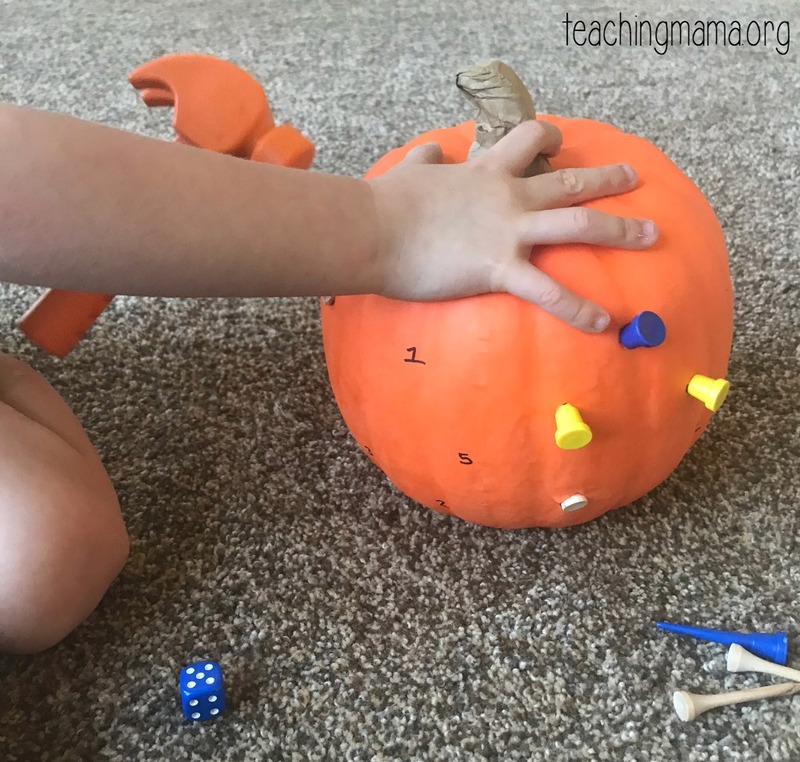 At first he was frustrated and how challenging it was to hammer the golf tee in, but once he got some practice and confidence, it went much smoother! This is such a simple activity, yet learning is happening! 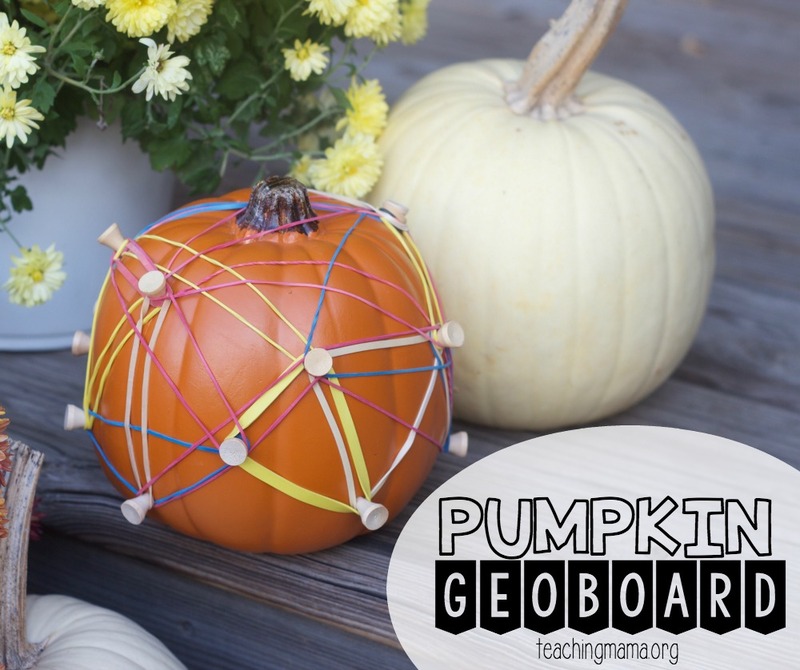 When you’re done, you could also make a pumpkin geoboard, like we did here.